Feel comfortable without compromising on style by slipping into these black colored Sneakers for men from Adidas Originals. These shoes have a leather upper and a rubber sole that provides full comfort to your feet. 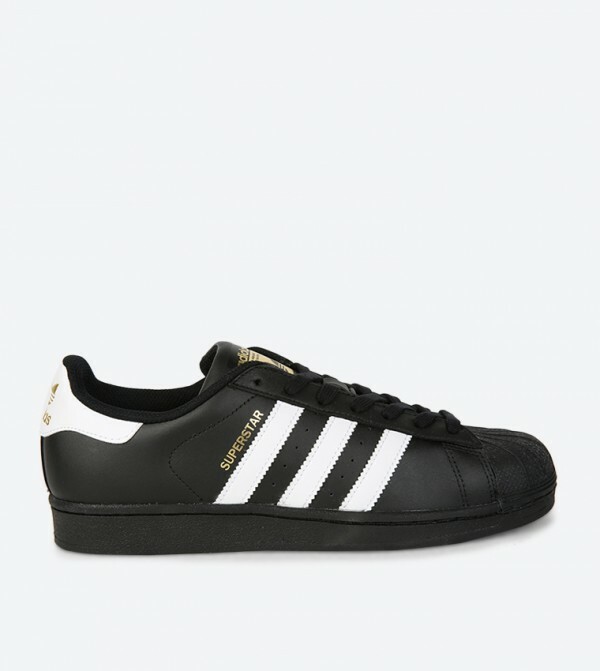 These shoes honor the clean simplicity and premium materials of the original Adidas Superstar Sneakers with a full grain leather upper and signature rubber shell toe. You can team these shoes with casuals of your choice to look smart and trendy.